Hye.. lagi sekali olyn menulis untuk hari ini. I just came back from appoinment, pass Bio Velocity Sleep Mate pada my new friend yang belikan BVSM for her mother. 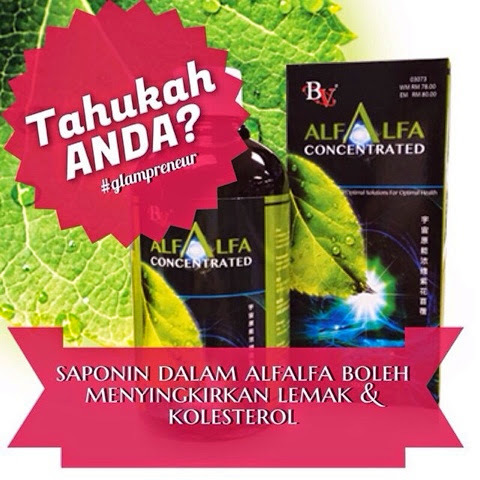 Excited nak beritahu yang selain Premium Beautiful & BVSM,hari ini olyn dapat 5 order for BV Alfalfa. Ada yang from my repeat client & ada dari new client.Everyone excited nak cuba BV Alfalfa. Alfalfa is a perennial flowering plant in the legume family which normally lives four to eight years, but can live more than 20 years, depending on variety and climate. The small purple flowering plant grows to a height of up to 1 meter. The alfalfa plant has an unusually, extensive root system, sometimes stretching more than 15 meters that makes alfalfa excellent in absorbing more minerals and vitamins that are not commonly found on the surface of the soil. The deep root system makes it very resilient, especially to droughts. 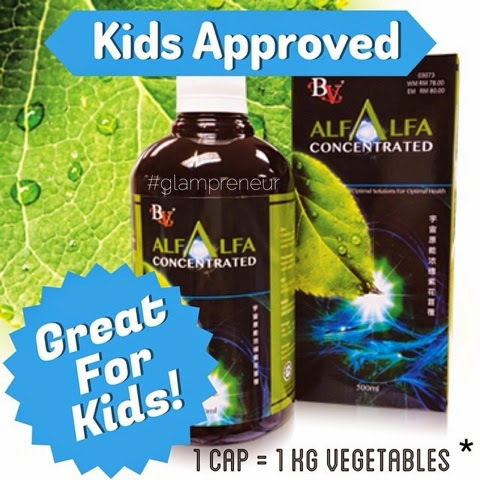 Alfalfa is naturally high in trace minerals such as calcium, magnesium and iron and other essential minerals and vitamins, including A, D, E, K, and even the full family of B vitamins, biotin, folic acid, potassium and many others, as well as very high in protein, especially when dried. The word alfalfa is derived from Arabic, specifically the phrase al-fac-facah, which literally means "Father of all foods" because it is so rich in essential nutrients that makes it a great supplement for human consumption. The alfalfa herb is believed to have a direct connection to lowering cholesterol, which is once again in direct connection with all of the positive vitamins and minerals it contains. 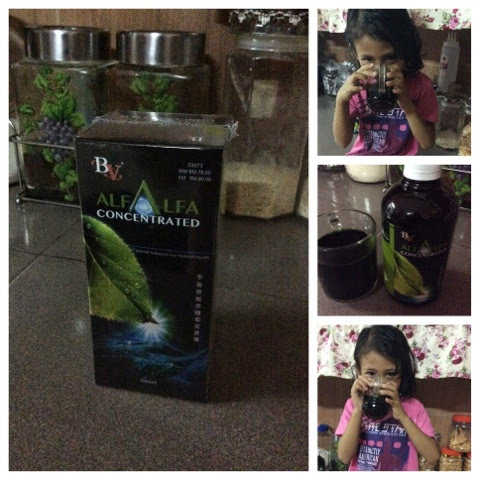 The alfalfa herb is very good at detoxifying and purifying the blood as well as promoting recovery and renewal of cells. As a result, regular consumption of alfalfa can lower blood pressure and balance hormones. When consumed regularly, it acts as an alternative to over the counter pain medicines for headaches or migraines because of its high calcium and magnesium levels. Toxins are lurking around in every corner. Our body also produces metabolic waste that needs to be neutralized and detoxified daily. 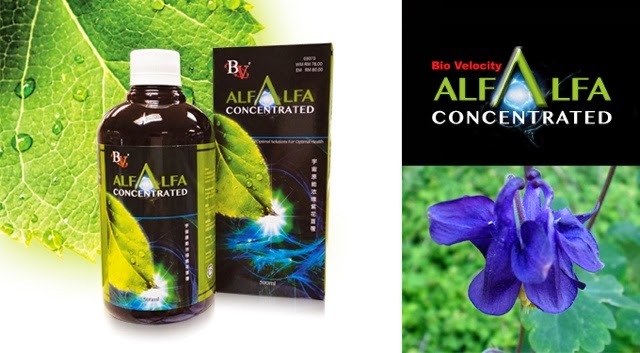 Alfalfa promotes the excretion of harmful toxins and pollutants. As alfalfa contains a kind of digestive enzyme called betaine, it can help promote good digestion. An acidic body is a magnet for sickness and disease. Alfalfa helps neutralize body acidity and alkalize itself either preventing health concerns or helping to alleviate them. The alfalfa plant has beneficial healing properties against bad breath and body odour due to unhealthy digestive tract. Subsequently, it increases immune system functionality. Some food can cause internal heat. One of the most popular uses of Alfalfa is to reduce body heat. Chlorophyll, the green pigment in the alfalfa plant is very similar to that of hemoglobin, the red pigment in our red blood cells that carries oxygen throughout the body. This beneficial composition boosts the number of red blood cells in the body and subsequently increases the capacity for carrying the required oxygen to the body system.